and nitrates, which improve blood pressure! 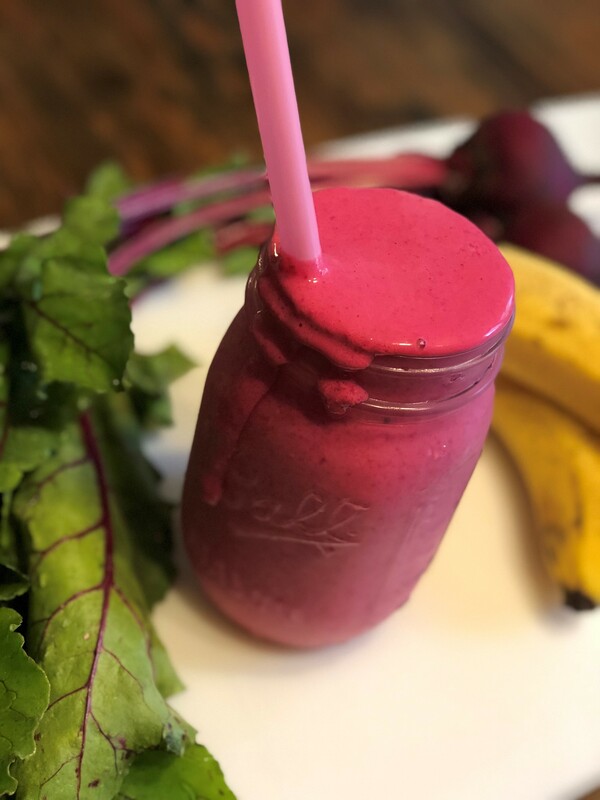 This smoothie has so many good things in it, and it’s a great way to incorporate more whole foods. Slice beet into 3 pieces and place in blender with remaining ingredients. Blend until smooth. I’ll have to try this, thanks for sharing! Yes! Try it and let me know what you think!